Mr. Ferrell founded Athyrium in 2008 and currently serves as the firm’s Managing Partner. Mr. Ferrell has substantial investment experience in the life sciences sector across a wide range of asset classes and transaction structures. Prior to forming Athyrium, Mr. Ferrell served in a number of capacities at Lehman Brothers from 2001 to 2008. Most recently he oversaw life sciences investments for Global Trading Strategies, a principal investment group within Lehman. The ~$400 million portfolio was invested in equity, debt and structured investments of both public and private companies. Representative investments include: Sequenom, Bioenvision (acquired by Genzyme), Jazz Pharmaceuticals, Orthovita (acquired by Stryker), Nektar Therapeutics, ISTA Pharmaceuticals, and Lpath. 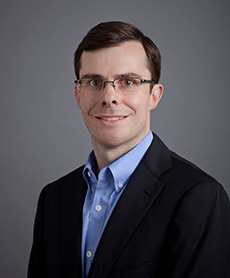 Prior to joining Global Trading, Mr. Ferrell was a Vice President in Lehman Brothers’ Private Equity division focused on life sciences investments. Investments that Mr. Ferrell worked on include: Auxilium Pharmaceuticals, Jazz Pharmaceuticals, KaloBios, and Fluidigm. Prior to joining Lehman in 2001, he was a Principal at Schroder Ventures Life Sciences (SVLS) based in Boston. While at Schroder, investments Mr. Ferrell was involved with include: EyeTech Pharmaceuticals, Versicor/Vicuron, Achillion, Allos Therapeutics, and GelTex Pharmaceuticals. Mr. Ferrell graduated with an A.B. in Biochemical Sciences from Harvard College. Mr. Ferrell currently serves on the Board of Directors of Progenity.